Faith Chevannes is from the beautiful Tamar Valley on the Devon and Cornwall border. She works from her studio barn making drypoint prints and mixed media pieces inspired by the spectacular landscape surrounding her home. She loves the fascinating ever-changing seasons, the wildlife, the lanes, the ancient cycles of farming the land and the wonderful romantic moors. 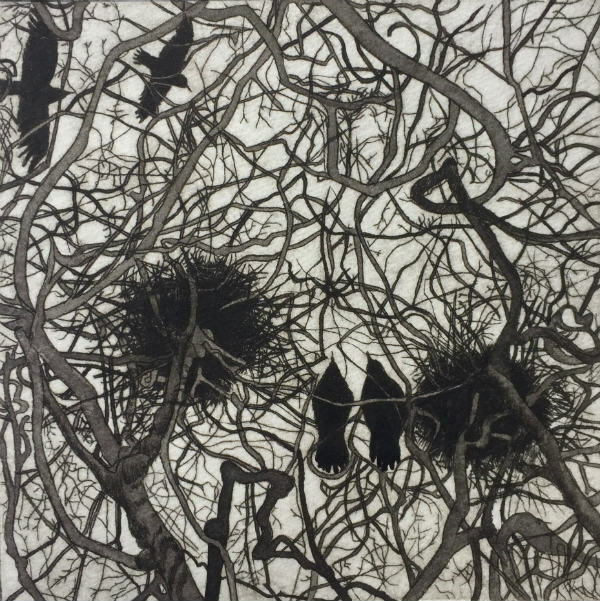 She has exhibited in galleries and panel chosen shows across the South of England including Delamore Arts, The Royal West Academy Open (RWA), Black Swan Arts Open, The South West Academy Open (SWAc), Wildwood Arts and Watts Contemporary.